One of 7 wonders in the world, symbol of love and architectural marvel “Taj Mahal” made a grand entry on Social Media on 15th August 2015, India’s Independence Day. Historical monument in Agra is most visited place in India and attracts lakhs of visitors domestically as well as internationally. 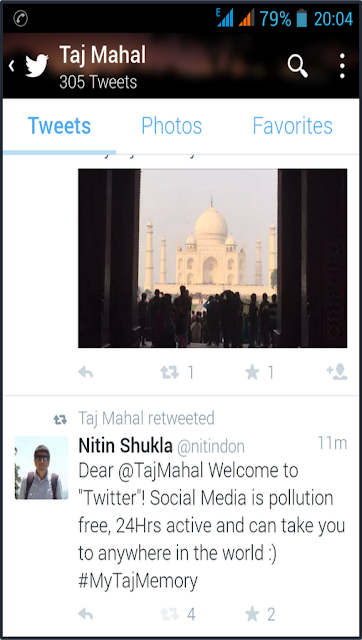 Interestingly, Taj Mahal becomes first monument in the history to make presence on social media. 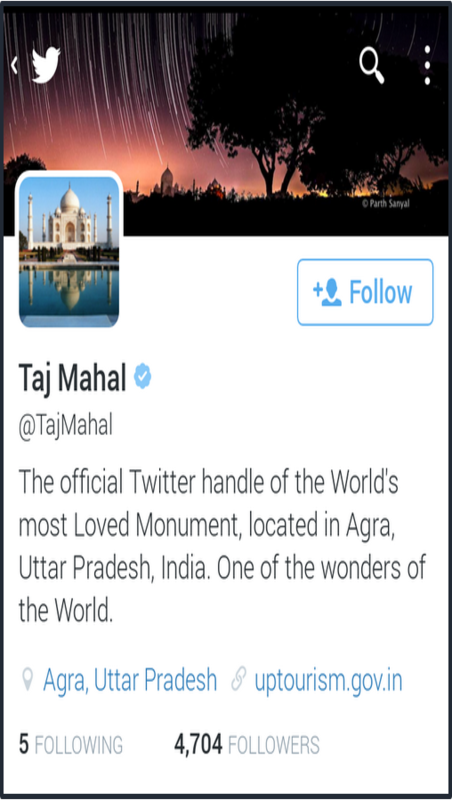 In quick time, thousands of tweeples started tweeting with hashtag #MyTajMemory to welcome “Taj Mahal” in the exciting world of Social Media. Taj Mahal, World Heritage site attracts about 3 million tourists annually making it most popular tourist destination in India. The monument is open for visitors from 6am to 7pm (except Fridays).